Your students will love this fun activity! 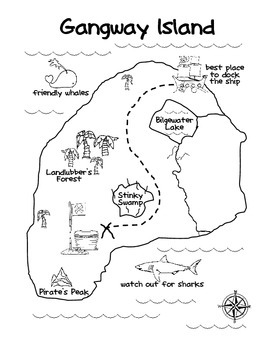 Each student will receive a treasure map which they first have to complete by adding the missing elements. 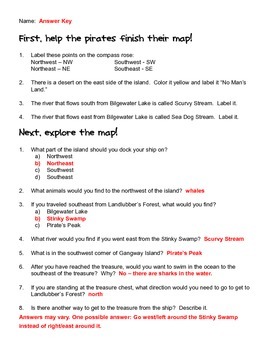 Then, they will answer the questions about the map (letting you assess their understanding of cardinal and intermediate directions). Finally, they can color their map, which is a black-and-white outline. 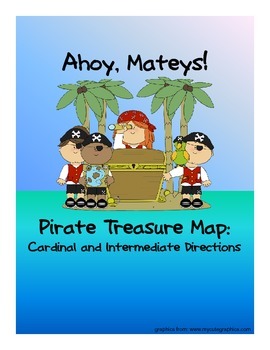 This covers Georgia map skills standards introduced and mastered in 1st and 2nd grade: use cardinal and intermediate directions. 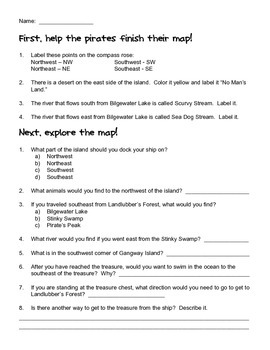 However, the map is a fun activity for any grade to review!